On April 23 the clouds parted and over 150 people came out to a farm nestled in Staunton’s very own Agricultural District, the slice of farmland between the pleasant hubbub of city life and the hum of Interstate 81. 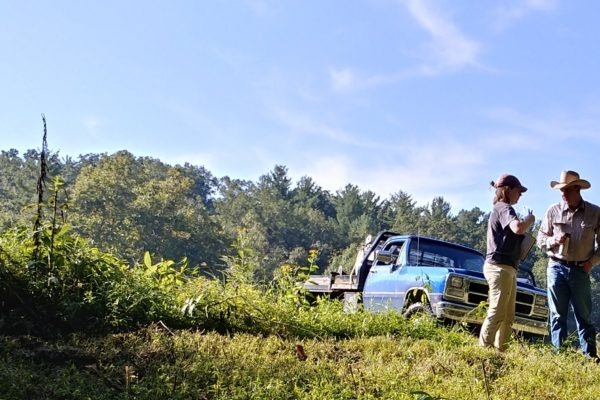 Here in the Shenandoah Valley, we’re invested in making sure our children grow up knowing the delight offered in open spaces. 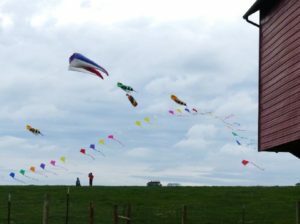 Days like these offer important lessons, like where not to step in a cow pasture on a working farm and how much easier it is to fly a kite without concern of overhead power lines or tree traps. As evidenced by the young man who thought to carry in a pair of flip flops and a towel, in anticipation of the likely opportunity to dip his toes in the water of Poague Run during the fingerling trout release, our fourth year of Kites and Critters brought repeat visitors. 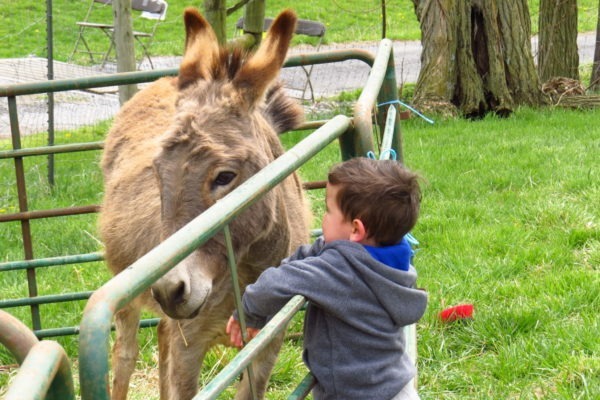 In the beautiful old bank barn, just past the wooly welcoming committee, VCC partners offered more ways for children and adults alike to connect with Shenandoah Valley wildlife. Birds, bats, fish, oh my! 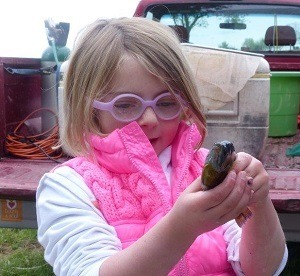 On Saturday before Kites and Critters, VCC was delighted to once again partner in the Staunton Earth Day festivities. This year, soggy weather chased activities inside, where turnout swelled with families looking for rainy day fun. 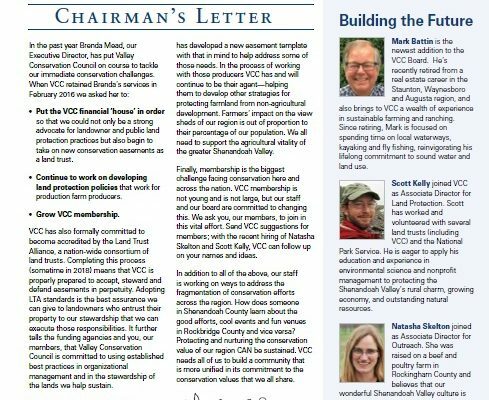 Earth Day is another important opportunity to make the connection for Shenandoah Valley families between the unique qualities of valley life and stewardship of our home.